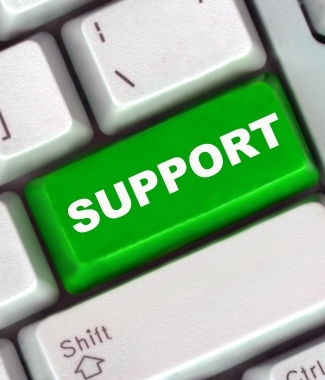 Is Depreciation Software Technical Support a necessity? Posted on December 10, 2010 at 11:30 pm. Technical support and maintenance for depreciation software: Do we REALLY need it? Have you called Technical support lately for any software that you use? I venture to say you have called at least 3 times in the past year. We have at IMS! Whether you forgot a simple function or needed a little hand holding while completing a function you have never done before, technical support is a security blanket we all should have. Some annual technical support fees also include other benefits that may be the reason a company decides to renew this service. Most fees for depreciation software technical support are paid for in advance and on an annual basis, but may vary depending on the manufacturer. One reason to maintain your support is to keep your fixed asset ledger updated to meet current legislative changes that include tax benefits for many organizations. These changes occur two or three times a year in some cases and the benefits vary depending on the size of your organization. We at IMS will frequently have companies deny the renewal of their support. Our customers commonly say things like, “We haven’t called into support in a while,” or “We don’t see the need to spend the money right now. “ Before you make the decision to not renew support, make sure you know how much the new laws could potentially save your company annually and how not having the most recent updates may affect you overall. Another important reason to stay active with annual support is to get a helping hand when setting up custom depreciation methods and reports. You may think your sort criteria and data selections are perfect, but when the report prints, nothing looks right! Let the experts guide you through the correction instead of wasting valuable time correcting it yourself using trial and error. You may find out that a training class on the web is free since you have support. In many cases, live training is also discounted to support customers. Finally, you paid for the software to have the best product possible. Software enhancements are a major factor for software manufacturers to provide the best and most up to date features. The majority of these improvements are designed to save our clients money and time. Don’t we all want our jobs to be a little easier and less stressful?